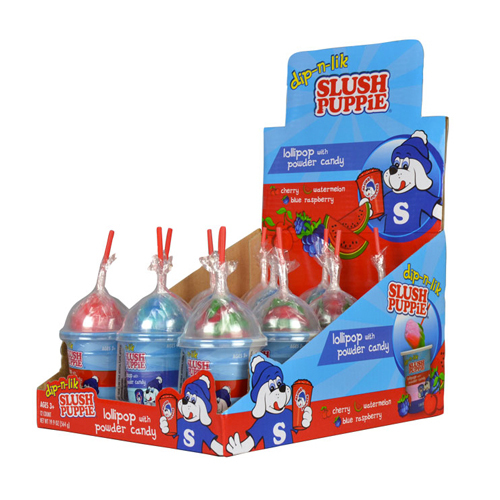 SLUSH PUPPiE® Dip-N-Lik® Candy treats are shaped like your favorite iconic slushies! 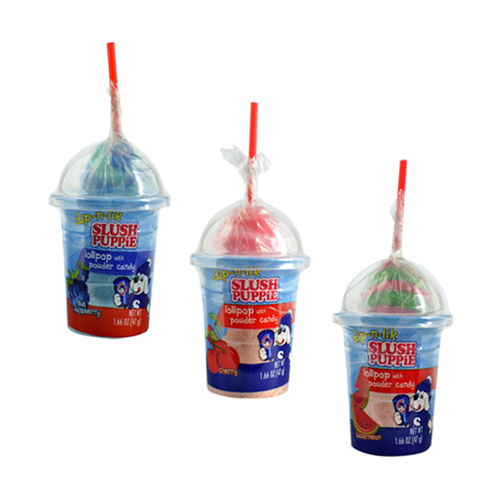 Try all three delicious flavors: Cherry, Blue Raspberry & Watermelon. 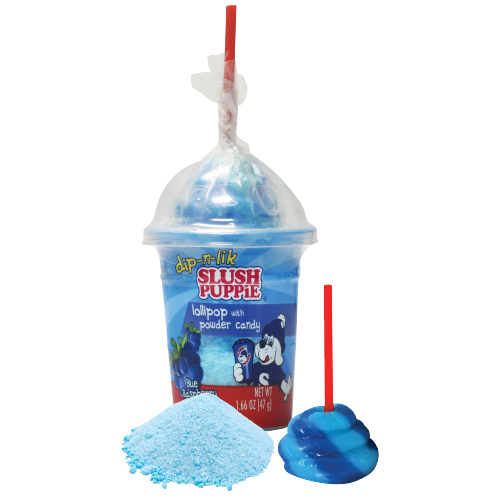 SLUSH PUPPiE® Dip-N-Lik® Candy features flavored pops and powdered candy.